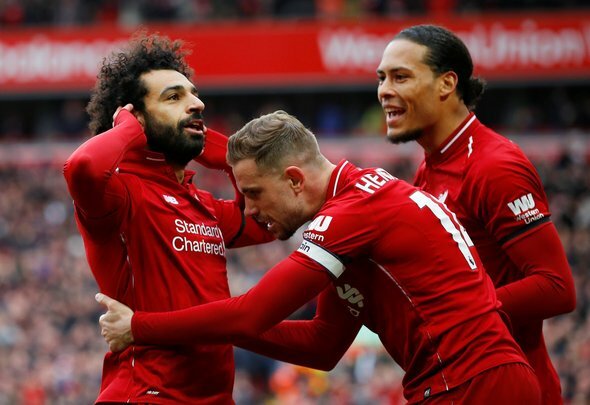 Garth Crooks cannot get enough of Liverpool midfielder Jordan Henderson after his display against Chelsea on Sunday, and says that he could have a lot to do with his team winning the Premier League title. Jurgen Klopp decided to drop the Reds mainstay – who has made 36 appearances so far this season – a few weeks back, but Crooks thinks that the reaction of Henderson since he has made his way back into the starting XI has been “remarkable”. The BBC pundit admits that perhaps putting the 28-year-old on the bench has allowed him to gather his thoughts and have time to re-focus. “If Liverpool do happen to win the title, the return to form of Jordan Henderson will have had a lot to do with it. How much credit Jurgen Klopp will take for that remains to be seen,” he told BBC Sport. “It was Klopp who dropped Henderson – harshly in my view – but the reaction of the Liverpool captain has been quite remarkable. Henderson was outstanding against Southampton (where he came on after 59 minutes) and again against Chelsea. Henderson can hardly put a foot wrong at the moment, can he? Ever since he was introduced against Southampton a couple of weeks ago, Klopp has decided that he deserves to be back in the first team fold, and rightly so. The 2-0 win over Chelsea on Sunday was perhaps one of his best performances this season, and he is no doubt one of the best midfielders that Klopp currently has at his disposal. Like Crooks pointed out, if the Reds do end up winning the league title, then Henderson’s return to form will have a lot to do with it. The midfield is one of the positions where Klopp has chopped and changed the most this season, but after his recent performances, that will now not be the case. To drop Henderson now would be mad after all he has contributed, and it is safe to say that his combination with both Fabinho and Naby Keita is starting to come together quite nicely.